vitamin A, almond oil, jojoba oil, provitamin B5 and sheabutter. Cares for sensitive and mature skin. Deluxe day care. Balances out the moisture requirements of dry skin. 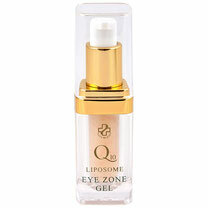 Intensive Q10 and the precious oil provide intensive care for your skin. Especially good at providing daytime care and under foundation. Cares for sensitive and mature skin. no animal testing night care for the intensive care of sensitive and mature skin. Intensive night-time skin care. To be used after cleansing in the evening as a night cream to care for face, neck and décolleté. Intensive care for sensitive and mature skin. 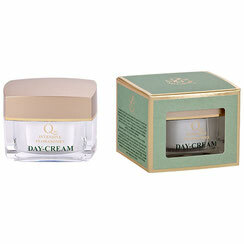 No animal testing Q10 intensive Florasome cream mask, luxury mask for sensitive, mature and stressed skin. Deluxe pampering mask for stressed, sensitive and mature skin. Apply a generous layer of the mask, then massage in for a few moments and leave to work for approx. 20 minutes. Rinse off with lukewarm water. no animal testing vegan eye care of the luxury class. This deluxe care gel was developed specifically for the delicate skin around the eye area. High quality natural liposomes filled with the "energy booster" coenzyme Q10 guarantee penetration deep down into the skin. This means that the precious ingredients are taken exactly where their effects are needed. A special moisturising factor and vitamin E-filled Florasomes help to improve the skin´s elasticity. Aqua, Caprylic/Capric Triglyceride, Pentylene Glycol,Propylene Glycol, Sodium Hydroxide, Alcohol denat., Glycerin, Lecithin,Sodium Phosphate, Ubiquinone, Xanthan Gum, Acrylates/C10-30 alkyl Acrylate Crosspolymer, Jojoba Esters, Tocopheryl Acetate, C.I.